Parliamentary elections in Kyrgyzstan may end with mass protests, a member of the Communist Party's Central Committee told Sputnik. MOSCOW (Sputnik), Yulia Shamporova – Parliamentary elections in Kyrgyzstan will take place on Sunday, October 4, with 14 parties officially registered by Central Election Commission. 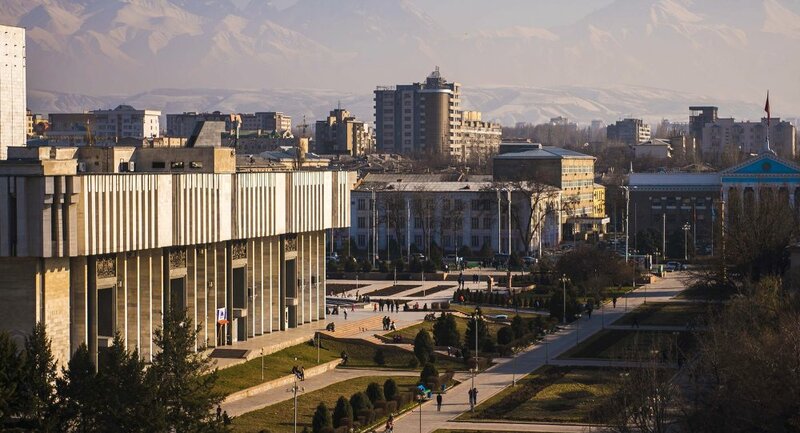 The Kyrgyz parliament has 120 seats, with members elected for five-year terms. To become a member of the parliament a party must score at least 7 percent of the vote. "Kyrgyzstan most probably will face protest actions after ballot day so only three or four parties will be able to outcome the percentage barrier. The rest will announce falsifications and breaches. I think that some left in the basket parties will try to exert pressure on the power. It is hard to say whether it will lead to next 'color revolution,' but [probably to] destabilization efforts," Sergei Kojemyakin said. The politician added that participating in the electoral race is tough, as parties must pay a mandatory election deposit of 5 million Kyrgyz soms (over $72,000 at the current exchange rates), which was paid by 14 parties. "The parties are making maximum of efforts for passing to the parliament and they are carrying on a tough struggle for electoral votes," Kojemyakin said. According to the politician, only three or four parties have a chance to get over the 9-percent barrier to be represented in the parliament. Parties that are likely to go above the required percentage include the Social Democratic Party of Kyrgyzstan, chaired by President Almazbek Atambayev, the Bir Bol (Stay United) party, the Respublika Ata-Zhurt and the socialist Ata-Meken party. The last parliamentary elections took place in Kyrgyzstan in 2010, before that, in 2005 the country went through the "color revolution" known as the Tulip Revolution in Kyrgyzstan.